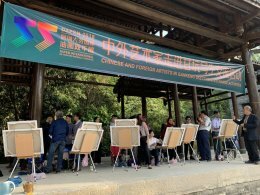 Some of the artists sketching. 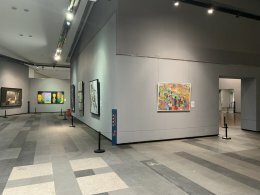 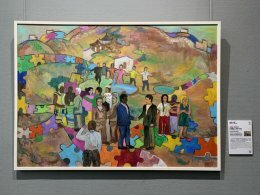 Unfortunately I was not able to go to Shenzhen for the Opening Ceremony of this international painting Biennale but I have been sent some photos of my painting 'Social Integration, Peace and Opening Up,' in the Dafen Art Museum. 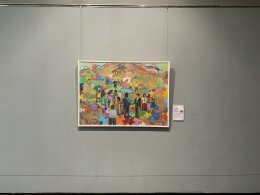 It has been really good to see how my painting was hung. 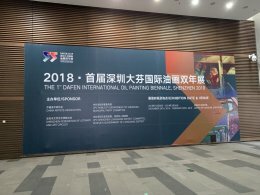 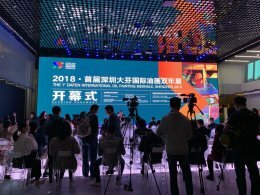 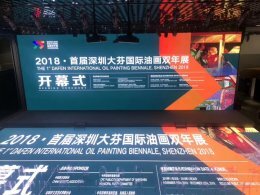 The Dafen 1st International Oil Painting Biennale was held at the Red Cube Public Museum, Shenzhen, from November 30th 2018 to December 20th 2018 and then moved to the Dafen Art Museum from December 26th 2018 to February 20th 2019. 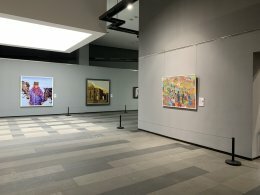 It comprised 264 paintings from 50 countries.